"The secret of any good album" (according to Greg Dulli of Afghan Whigs/Twilight Singers) is to "put your best songs up front". I don't know how much Afghan Whigs are appreciated by Jatun, but the message certainly filtered through. Ghost and Grey is deliriously good, swaying and spitting like a King Cobra and no less hypnotic. This is the ideal way to open an album, forcing the listener into its own fever. The beats, crisp and urgent, work in stark contrast to the sweeping, majestic keys. Jatun is Scott Worley and Alan Grosvenor, two Boarding fanatics with impressive music tastes that take in some of the best of electronic, post-rock and Shoegaze. They are at pains not to cite their influences, but an educated gambler might take a punt at the likes of Seefeel, M83 and Manual. What they will confess is a shared love of snowboarding, skateboarding and the music associated with those scenes. It was this that lit the blue touchpaper and sparked the initial Jatun firework Ion Crush into existence. Since then the duo have hardly had time to pause for breath. A clamor of interest led to Jatun contributing music for various Sports and outdoor clothing campaigns. No less so than sportswear giants Nike! Now we don't endorse any global corporation here at EvilSponge (although I'm an Adidas man myself! ), but who in the same position would say "no", honestly? Ion Crush left Jatun the task of following up with a proper full-length release. Did they measure up? Well, yes I rather think they did. Wisely they've included a version of Ion Crush here. A nice touch, I feel. It rewards existing fans who may already have the original, yet also does not deprive newcomers of what is arguably one of their best tracks. Ion Crush reminds me of some of the beautiful ambient parts of This Mortal Coil. Zombie Hotel is back to that modulated Seefeel vibe, and I hadn't been aware Ulrich Schnauss had been collaborating with Vangelis until I heard Fashion Whore. This at least is the effect it conjures. The Temptation Of Joy is the album's thirteenth and final track. Unlucky number? Hardly, this is celestial. It's another great advert for what Jatun stand for. These guys are all over Shoegaze like a rash, but with a distinctly modern approach. The vocals too are straight out of 1990, buried as they are, half by effects and half by the mix. Maybe the middle of the album dips a little - the unavoidable price to pay for a strong beginning and end? 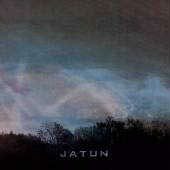 Yet, Jatun have managed to infuse their first record with a tangible sense of wonder. In a way, they convey to the listener the same sensations they themselves must have felt when making this music. Listening to the aforementioned standout tracks, I can hear the wide-eyed optimism of Jatun. It's a naive positivity but one that might just carry them a long way in an industry more noted for its cynicism. I hope so. I really do.